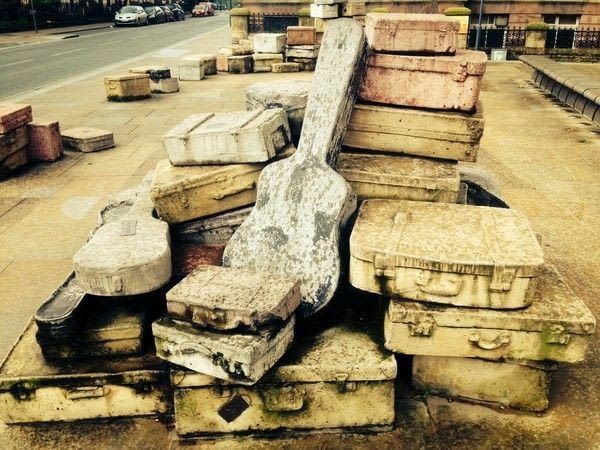 Every corner you turn in Liverpool you will see hints to its history, to its religion and to the continued development of its cultural celebrations. 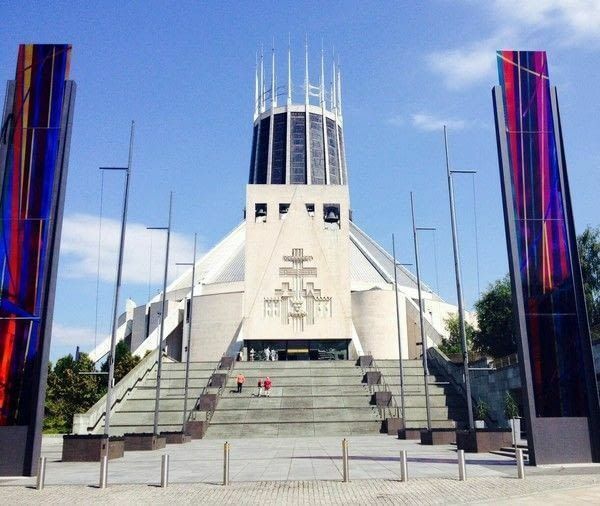 In the North West of England, on the east bank of the river Mersey, with a population of less than 500,000; Liverpool ranks 9th in city size in England, UK. It's a vibrant and exciting city with everything you could ever need close at hand. A student population of approx. 70000 there is always something fun and exciting to get involved in. But it's the cities wealth of history that makes it a cultural gem of the North West. Famous for its manufacturing and being one of the UK’s largest docklands since the late 19th century; famously known for The White Star Line shipping company registering the Titanic.....it's hard to believe that Liverpool’s Culture wasn't officially recognised until 2008; when the city won the European City of Culture Award. It's not only maritime history the city is known for, it would be rude of me to forget the musical genius of the "Fab 4" who are probably the most famous musical stars to originate from the city. Being a book lover, as well as a knitting addict, my two favourite shops have to be Reid of Liverpool; a second handbook store with floor to ceiling book cases and every possible title you can think of. I'd also suggest that the 'activists' amongst you to take a trip to News From Nowhere on Bold Street where you can pick up political books and magazines. Having a great group of knitters at work, I was quickly introduced to Abakhan which is a stone throw from the office. 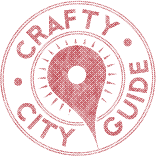 Not only is it a great space to relax on your lunch break, but the friendly staff are experts in yarn craft, are super friendly and the prices are excellent! The first Thursday of every month sees University Square on campus become a bustling farmers market where shoppers can sell their home made, home grown produce. 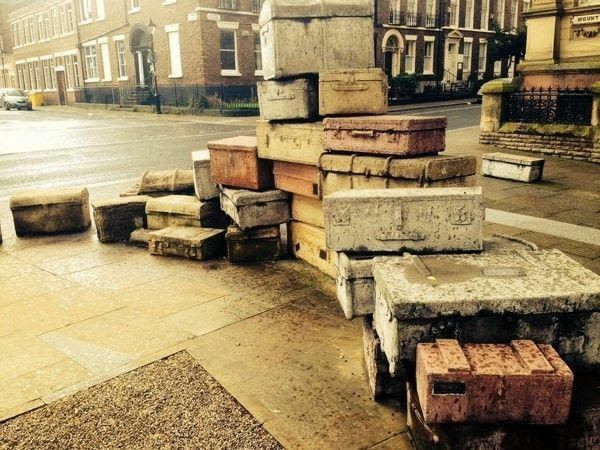 Regular car boot sales both in and outdoor are held on weekends from March - December as well as a Liverpool vintage fashion fair being held in September. The architectural contracts of the city can be summed up between its two biggest cathedrals; the Anglican and Metropolitan. Not only great places to visit and experience their sheer size, but both beautiful structures and are always a great place to start when looking for inspiration. Both places of worship are complete contrasts to each other with the Anglicans gothic revival design, it's tower standing over 300 feet and resembling the shape of the famous Red Phone Box, is the largest cathedral in the UK and the 5th largest in the world - the views from the tower are truly amazing (there's also a lift to the top!) The Met in contrast is circular, glass crowned and on a sunny day, its stained glass pillars throw a beautiful kaleidoscope of colour across the pavements and the 86 steps to the door of the cathedral. With both cathedrals at either end of Hope Street, it's a great place to sit and consider the next crafty piece. 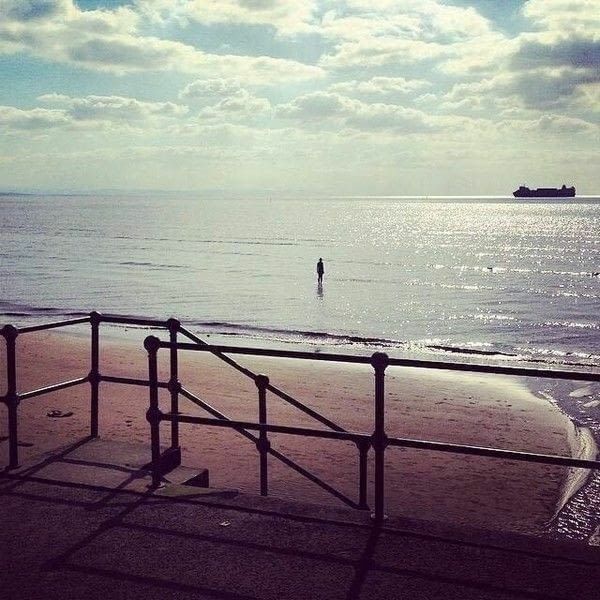 15 miles north of the city, in the small town of Crosby, is the permanent home of Antony Gormley's 'Another Place'. A piece of modern art; consisting of 100 6ft iron casts of the artists body stand facing the sea, spread over a 2 mile stretch of beach. 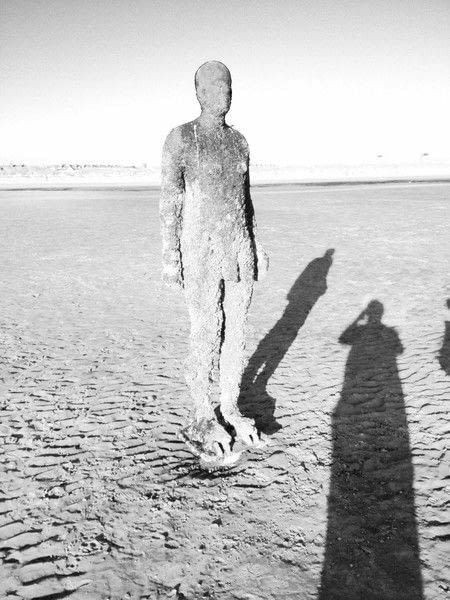 Probably one of the most beautiful and haunting piece of site specific art, if you time the tides right, you'll be able to see the statues in different states of submission as the tide comes in. It's an amazing thing to see at night when there are fewer tourists around and the moonlight makes for an incredible photo opportunity. It's also a great spot for a bit of yarn-bombing. 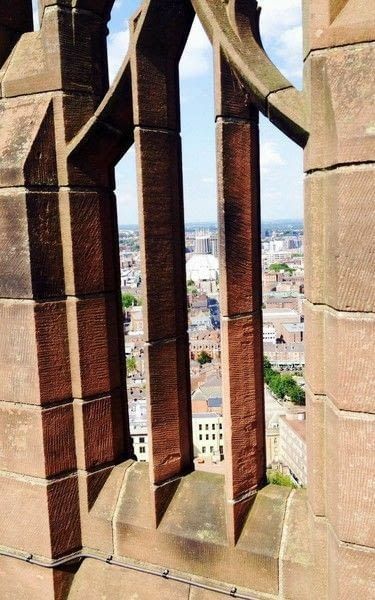 As for photos, the top of the Anglican is an amazing spot to take panoramic photos of the city; some of my favourite photos of Liverpool have been taken from there. For a quick, tasty and relatively cheap burger dinner, you can't go wrong with Free State Kitchen. For those pickle lovers the range of additions is not to be missed. 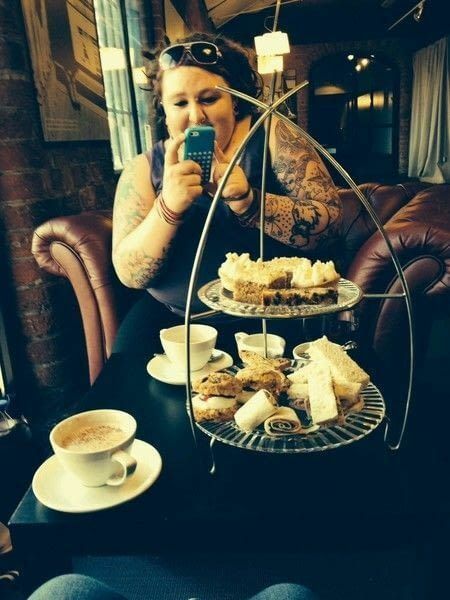 A good Sunday roast with your friends or when the family visit has to be at Camp and Furnace where the main eating hall is filled with trestle tables and diners eat together. There's nothing better than carving your own roast chicken! If you want something sweet, head to Patisserie Valerie in the centre of the city which maybe part of a wider cafe brand, but oh my goodness, I can't ever walk past their window without stopping and looking at their amazing cake. I'd recommend the chocolate Éclair every time! Working in the centre of the University campus, there's always a busy student bar to have a quick after work pint in, the Cambridge is your nice traditional English pub, the Font is great for affordable pub grub and cocktails as well as the Guild of Students having a huge refurbishment including a sleek modern bar overlooking the cathedral. 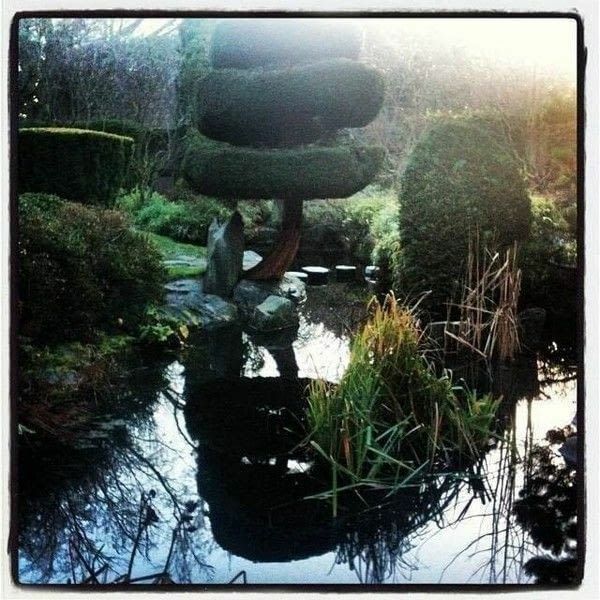 Calderstone Park in L18 is a great space for a peaceful knit, especially in its Japanese garden, where is you're lucky, you'll be able to grab a seat and relax on a lazy afternoon. I've yet to join a knitting club, but both Purlesque and the Happy hookers are really active craft groups whose yarn-bombing can be seen around the city. Currently, the cancer reach North West are seeking volunteer knitters for a Christmas craft fair that a few of us at work are involved in. Oomoos is not only a great place for a coffee and a slice of amazing cheese cake, but also has a small library of knitting magazines as well as spare wool and needles for you to have a quick knit over coffee. 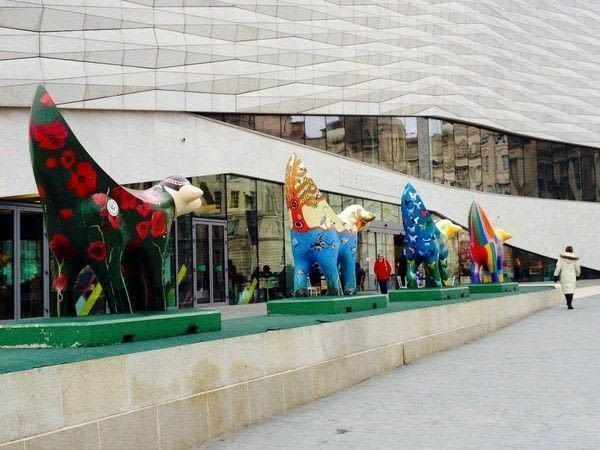 As part of the cities celebration for their 2008 city of culture award; statues known as Lambananas were erected around the city. Some of these still exists, some are dressed as the Beatles, or theirs are covered in Poppies, it's well worth seeking them for a photo. John Kings "A Case History" is another piece of art that is dotted around the city; you can find it and an information poster on Hope Street by the initiate of performing arts who commissioned it. You can get the, in a number of sizes from key rings to 8" statues whichever you decide, I'd suggest getting yourself a lambanana in its famous yellow which you can either admire in its original form, knit a woolly hat for or even create your own stencils for.